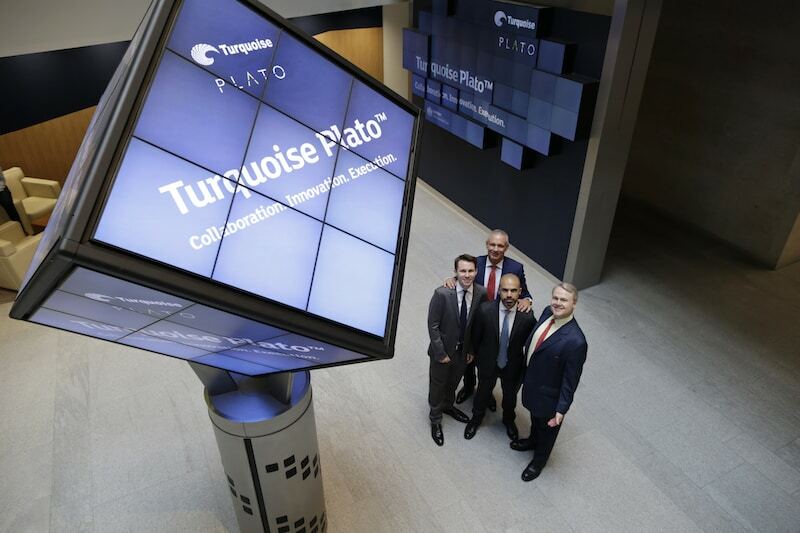 In September this year, the London Stock Exchange’s Turquoise announced a rebrand of its block trading services to Turquoise Plato, following an agreement with Plato Partnership. 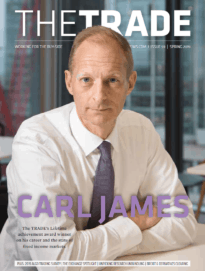 The TRADE caught up with co-chairs at Plato Partnership, Nej D'jelal, head of electronic equities product for EMEA at Barclays, Mike Bellaro, global head of equity trading at Deutsche Asset Management and James Hayward, vice president at Goldman Sachs. Plato’s leadership team discuss the partnership with Turquoise, whether they think Plato has achieved what it initially set out to do and plans to focus on new initiatives moving forward. Hayley McDowell: What were the initial reasons behind Plato Partnership’s formation? Nej D’jelal: If you cast your mind back a few years, there has been a significant amount of complexity introduced to the marketplace and there are differences within the value chain between those who are focused on trying to solve market structure problems. We wanted to bring a more representative view of that value chain to the table and for the first time we brought the buy-side, sell-side and a market venue together as an elective and focused group. That’s something we think is very powerful. When you look at the volume caps related to dark pools under MiFID II, you can argue that there is subjectivity in the market structure debate, but more fundamentally, this is moulding regulation. That for us is a challenge because it adds to the complexity, but there is also an empirical approach to making these very important decisions. One of the solutions we outlined as part of Plato Partnership is the Market Innovator - also known as MI3 - which produces empirical research to inform the market structure debate and ultimately influence future product development of the marketplace. Although there are 14 founding members of Plato Partnership and a cooperation agreement with Turquoise, and therefore a representation of the value chain, we are working very hard to bring in the next wave of Partners to Plato. These new Partners will again be representative of the value chain and we will for the first time have a broad network in the industry who are funded, have a very clear purpose and are actually making changes to market structure. Mike Bellaro: Looking back to 2014 and 2015, it was a difficult time from an equity trading perspective. We had two options, to sit and do nothing but complain, or take a stand and do something for the greater good and our end-investors. We wanted to try and determine what the future of trading should look like. As we head into 2018, ahead of MiFID II and unbundling, from my perspective we could potentially see the greatest change in equity trading that we have seen since the ‘big-bang’ in 1986. Plato Partnership is a not-for-profit entity in which the revenues are used to fund additional initiatives and more importantly to fund MI3 to promote academic research and further the debate around market structure. That was extremely important to us and the beauty of Plato is that we can then tackle other issues from a market structure perspective. James Hayward: Bringing together and structuring a large consortium deal is incredibly challenging and takes considerable time and resources. 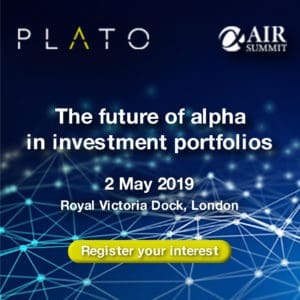 The real power of Plato is that we have created a vehicle for future industry initiatives, with the explicit backing of some of the largest asset managers and brokers. As such, much of the effort and challenges we went through to formalise the legal entity and secure Plato’s initial partnership with Turquoise, can be leveraged for future initiatives. We have created a simple governance structure that equally weights each voice around the table. This allows Plato to be nimble and drive innovation, without having to create another legal consortium in each separate case. As a not-for-profit entity, there is no commercial compromise or competitive conflict and Plato is free to pursue its guiding principles fully. Funds generated by Plato will never be distributed to its members. Plato is a funded entity from its members’ subscription fees, ready to conduct rigorous research and analysis to address the industry’s most compelling problems. As part of the agreement with Turquoise there is an additional revenue share component, which will be used to pursue academic research that might inform future initiatives and develop existing and new partnerships. HM: Why did Plato opt for Turquoise over other exchanges? ND: It was an exhaustive and long process and when we first set out the idea was to create a new venue. Over the course of the journey, we were open enough to assess the actual requirements and the reality is a new venue wasn’t necessary. We decided to lead the next wave of block trading specifically and the criteria we would assess would include the various components that would increase the success of that particular endeavour. Notwithstanding all of the formalities that we would need to assess in terms of the type of partner we were looking for - which includes alignment in terms of principles and philosophy – absolutely key was the level of excellence and professionalism. Many of the shortlisted candidates met those requirements. But the uniqueness of Turquoise was reflected in the success that they had with their Block Discovery mechanism, the only venue in this process to have one already in place. We didn’t want to increase fragmentation or complexity in the market, so we decided to utilise an existing, established venue with critical mass. We can now focus on a product where the foundations have already been laid. MB: Turquoise also has a very strong Block Discovery advisory group, which consists of individuals that share the ethos of Plato Partnership, with a major focus on strategic liquidity. This was a core nucleus of participants that were trying to reshape the future of Block Discovery and it tied very nicely from a strategic partnership and cooperation point of view. HM: Has Plato Partnership achieved what it set out to do and what are you focuses moving forward? ND: In terms of specific short-term goals, Plato Partnership has achieved what it initially set out to do. We have for the first time brought together the buy-side, sell-side and trading venue to deliver increased efficiencies in block trading; we have seen significant volume increases in Turquoise Plato Block Discovery; and we have created the structures that will enable Plato to address other market structure challenges in the future. But the ambition is so vast that this is only the beginning. At the heart of Plato is the Market Innovator and introducing academic research to provide a more objective message and essentially information into the market structure evolution. Plato is well positioned to highlight what the key issues are and to then attack those problems. We are working with some of the most esteemed academic leaders who will join us in this endeavour and represent an advisory body that will feed into our process that elects specific topics. Professor Doyne Farmer, director of complexity economics at the Institute for New Economic Thinking at the Oxford Martin School, and Andrei Kirilenko, director of the centre for global finance and technology at Imperial College Business School, have agreed to become members of Plato’s newly formed Academic Board. MB: The commitment from two leading academics to join the Academic Board is an important moment for Plato and we plan to add other individuals as we move into 2017. We now have support, commitment and help from leading academics in the field to bring rigor to everything MI3 does moving forward. Then our Advisory Group will help us decide what topics, initiatives and market structure issues we will focus on next. It’s important we choose the right topic and align the right people to do the research on the topics. Their help is invaluable from our perspective and will bring a lot of success and credibility to MI3 and to everything Plato Partnership is trying to do. From a buy-side perspective, to get this right we must focus on market structure. We want to bring more intellectual debate and help shape the future of equity trading post-2018. ND: The Plato Strategic Initiatives Group (PSIG) will look at what are the next cooperation agreements we can enter into, but it doesn’t stop there. We have other ways that we will leverage our founding member groups, as well as a broader focus group that will bring other firms to the table to become Plato Partners. They will not pay a subscription fee but will be involved and committed through their time and energy in shaping the next MI3 project and future strategic partnerships. With the MiFID II deadline looming, we are looking at what the common problems are and how we can fix them. MB: We are setting our sights on the future but we are not moving away from Turquoise Plato. We will continue to develop this through our Turquoise Plato Expert Group as it’s an important part of Plato Partnership, but there will be new initiatives that we will announce in the coming months that will reflect our intentions to solve other types of market structure challenges.